A three vehicle collision caused long delays in both directions on the A14 in Cambridgeshire this morning, Thursday April 4. 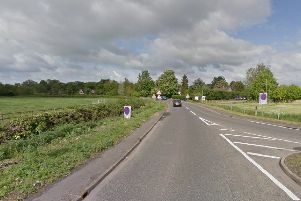 The crash took place on the eastbound carriageway at J28 Bucking Way Road, near Swavesey. The westbound carriageway was slow due to drivers looking at the collision on the opposite side. Nobody is understood to have been seriously injured in the crash, which took place at 9.40am. The collision involved a Land Rover, Vauxhall Combo and a Hyundai Santa FE. The vehicles have now been recovered and the road cleared.